Sheltered housing is another kind of residential scheme which retired people will look to consider as they get older. There are many different types of sheltered accommodation which you would usually rent from your local authority or private housing association although you can buy some properties that fall into this bracket in certain instances. Quite often, a development will consist of anything between 10 and perhaps up to 60 dwellings which could comprise flats, bedsits, bungalows and even luxury apartments. As with retirement villages, they are aimed at retired people who prefer to live independently but who also wish to have the added reassurance of being able to summon help from a manager or warden by pressing an emergency alarm if they get into difficulty. This, in turn, can also provide a trigger to gain access to other social services if they are required - Care in the Community, being a prime example. How Does Sheltered Housing Differ From A Retirement Village? Sheltered housing schemes have been around for much longer than the relatively new concept, here in the UK at least, of a retirement village. With the latter, many people will tend to buy properties as opposed to rent and there is more scope of the range of properties you can buy in terms of modern design and luxury. Sheltered housing projects tend not to be 'gated' which means you are not as closed off to the rest of the local area. Houses within retirement villages also tend to be fully individually equipped with appliances just as a normal home would be whereas in sheltered housing, you may find that you need to share things like laundry facilities and perhaps a communal garden, for example and the housing in general tends to be smaller which may or may not be suitable depending on your needs and preferences. There are also more provisions to rent sheltered housing as opposed to buying, which is more often than not the case with retirement villages, although there are exceptions to the rule on both sides whereby you can buy some sheltered accommodation properties and, likewise, you can rent homes in certain retirement villages. 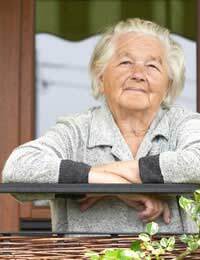 Because many of the sheltered housing schemes are run by your local authority, there is often a long waiting list to negotiate and this will often be prioritised by individual need such as ill health, disability, being already resident in the area, and people who already rent properties from the local council or private housing association who now wish to move into sheltered accommodation. Sheltered accommodation is also not as proactive as retirement villages usually are in creating community events, although once again, there are exceptions to the rule but in general terms, they're more aimed at people who want to lead independent lives within the greater community as a whole but who also prefer having the safeguard of a warden or manager to call upon should they need to do so. Unlike a retirement village where you may find people who are there from a relatively young retirement age who are simply planning for their future needs well ahead of time, sheltered accommodation usually fulfills the needs of the older, more vulnerable, sector of the community. However, with the increase in retirement villages, many local authorities have adopted strategies to make sheltered accommodation far more appealing and up to date than it might have been perceived years ago, so it's well worth contacting your local authority to see what schemes are available in your area and how you might apply if this type of accommodation might be best suited to your needs. @jane. It depends on what level of accomondation your mother needs. Her local council/social services will have a list of all the sheltered schemes in the location. You can also try commercial estate agents etc for private retirement schemes, some of which have added assistance measures for those who need it.